It seems that all I’ll ever play is Assassin’s Creed games for the rest of my life. 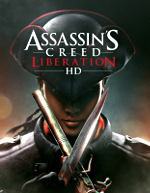 I just so happened to finish Assassin’s Creed Liberation the other day. You can read the review here.